Adaptative with its team of expert software developers provides you with best Kentico development services. Kentico, a most popular web content and customer experience management system known for its dependability and feature richness which allows you to use it for variety of web development purposes which includes websites, eCommerce sites, intranets, social networking and forums. It offers exceptional usage ease and with its unique ready to use support you can utilize it wonderfully well whether your requirement is content management, web marketing tools, support for multiple languages, mobile websites, multiple website management, search engine optimisation and so on. 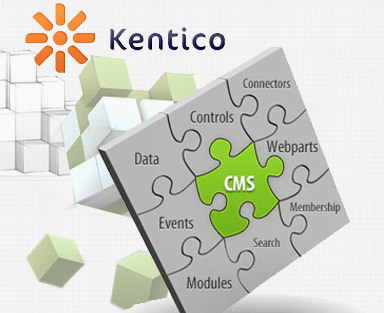 Kentico is a remarkably performing, most user-friendly DOT NET based CMS platform that offers varied range of features and maintains high standards. It is easy to personalize and proves a great customer experience management system which works really great in website content management. It is incredibly easy to use and you just don't require being a tech savvy for handling this platform which makes it a great choice for generating online sales, customer community building, online form creation, or for email campaigns or for creating Enterprise 2.0 Intranets. Kentico works really quick in building new sites and comes loaded with hundreds of built in web apps which gives it better utility and as it is based on DOT NET, it offers you better integration and can be modified easily and you get to develop your own extension. At Adaptative, our Kentico CMS development team offers you most innovative and effective content and customer experience management solutions, well tailored according to your business needs. We aim at your satisfaction and stay committed to providing you with bespoke solutions which are not just well executed but are also based on straight forward approach. Our team has groundbreaking experience and most varied expertise which lets them offer you quick and remarkable solutions right in the time-frame that you set without spoiling your budget one little bit. Some of our special services include Kentico development services; customisation solutions; content management; module development for Kentico, content analysis and migration, Kentico solutions deployment; app development for mobile and site, applications for social sites, solution for eCommerce development, content management, web 2.0 solutions and special social networking solutions.